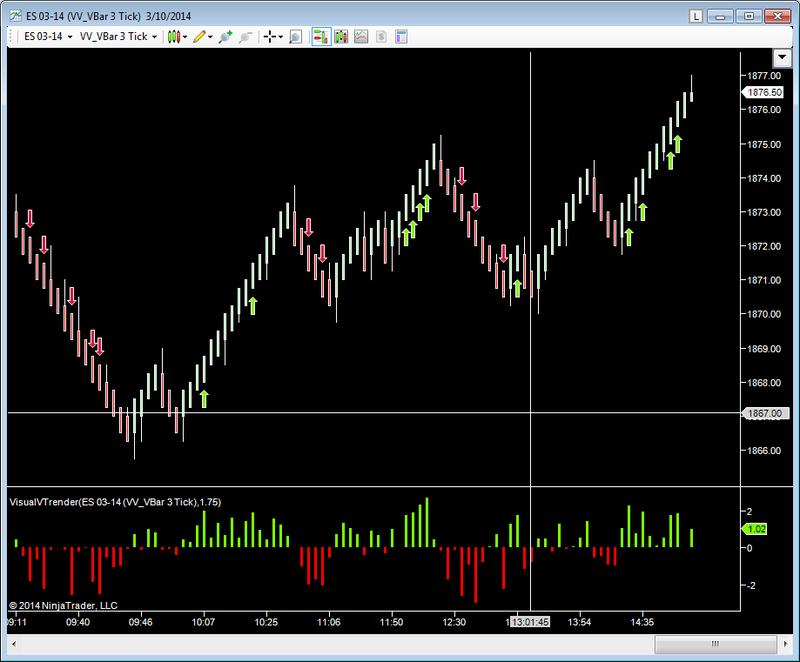 VisualVTrader's VisualVTrender indicator utilizes the bid ask ladder to determine what the underlying market wants to do. It will display arrows on the price panel when a threshold level is obtained to indicate probable direction of the market. VisualVTrender can be very powerful on turns in the market especially on the Visual V VBar charts.